Japan Mobile Tech: Softbank 107SH Pantone 5 Geiger counter phone: Tool or toy? I agree there is not so much interest in a low accuracy monitor. This is probably why the prototypes showed in CEATEC last year by Docomo never end-up to become real products. I cannot talk about the sensor itself as I was only involved in the android app development but I would welcome any suggestions about features that this kind of smartphone app should include. 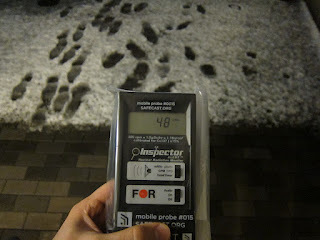 The detector seems to be silicon-based. Probably it is counting the photons, so its drift should be negligible. The objection that conversion from counts to dose strongly depends on the source is a much greater problem. A small Si detector is much more sensitive to x-rays from a CRT tv screen than to Cs-137 gamma radiation. Thanks for the comment, Pieter. The examples I was using regarding instrumental drift are probably less appropriate to a geiger counter used to detect ballpark radiation, rather than say a mass spectrometer designed to detect specific atomic masses over 7 orders of magnitude. Though I still think that the readings displayed on the screen will be affected over time, maybe not necessarily due to the tube. My first opinion is that your price point is too high by a factor of 3. I do like the idea of an external sensor, one that won't be subject to the abuse that a mobile phone is going to take. Pull it out when you need it, then put it away. 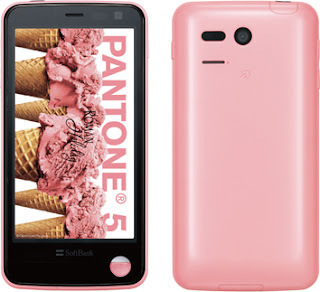 The smartphone in the company's "Pantone" series will come in eight bright colors and include customized IC chips made by Sharp Corp that measure radiation levels in microsieverts per hour. So, this is not a GM tube, so it may be more rugged than I thought originally. However, voltages still have to be reliably converted to meaningful output over the life of the phone.